If you are in the midst of planning and organising your office relocation, but more pressing business commitments towards partners and customers are getting in the way of your removal plan and schedule, then, by all means, turn your attention to your customers and business partners, and let us deal with the situation for you effectively. 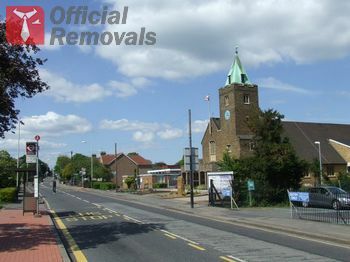 Office Removals Harold Wood is a specialised removals company, which deals with all types of professional grade office relocations and certain commercial removal service, too. We work with all types of businesses, and will be able to handle any office relocation request, despite its size or complexity. Whether you are moving your personal office two floors up, or you need us to relocate an entire department store to another area or city altogether, that would be no problem, as we have the necessary technical capacity, service expertise and manpower to expertly plan and carry out the entire relocation from start to end, so you have less to worry about. We understand that causing damage to expensive equipment and office furniture, or causing costly delays during any stage of the removal, would render our services useless, and leave business owners rather frustrated. Luckily though, we are highly efficient, professional service provider, which means we don’t leave anything to chance and plan your office removal down to the smallest detail. Our well organised, diligent mover teams will handle the packing, securing and loading of items being moved as they need to ensure safe handling and damage-free transportation. We recommend letting the movers determine how to pack, secure and load your office contents as they know how to do this right. Special care and consideration will be taken when handling and packing certain items like filing cabinets for example, as mixing or losing their contents along the way would spell out disaster. Office Removals Harold Wood owns and operates a fleet of well maintained, transport vehicles of different payload capacity which means we can provide customers with cost effective, speedy removals as we always have the right vehicle for the job. We provide convenient week round servicing.